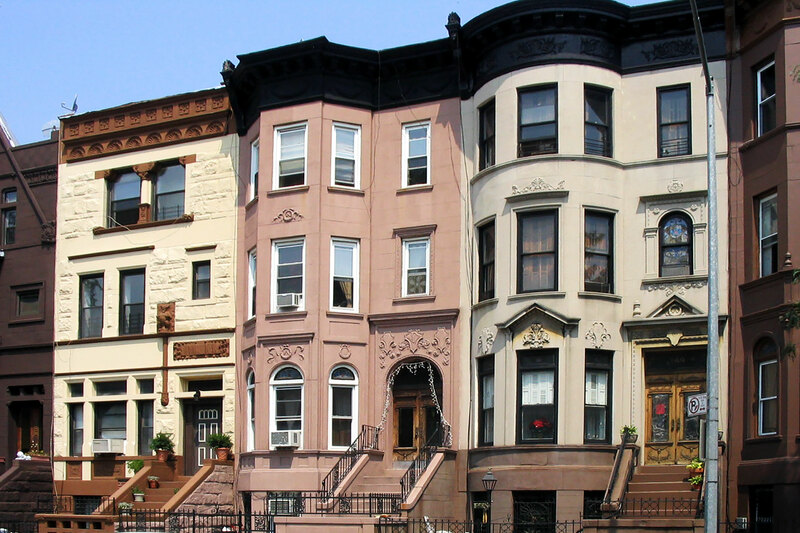 Bedford Stuyvesant may be the best preserved of all the neighborhoods participating in the great Brooklyn revival. With nearly 9,000 houses built before 1900, it holds one of the country’s largest collections of untouched Victorian architecture, leading some architects to compare Bed-Stuy and West Village brownstones as “original pieces of art” versus “prints”. Over the past five years, this spacious, culturally diverse region has seen a sizeable inflow of families, young professionals and creatives, all drawn by these quintessential city homes.The tree-lined, muraled streets are filled with wine-bars, upstart café windows and home-built marketplaces. And as for natural leisure, Bed-Stuy offers multiple neighborhood parks and playgrounds, including Herbert Von King, Fulton and Saratoga Parks. 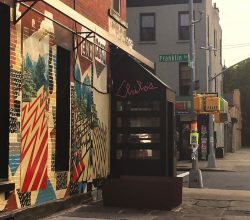 To the north, current global hotspots Williamsburg, Bushwick and Greenpoint hold some of the city’s top entertainment, dining and shopping destinations, and to the west, Downtown Brooklyn contains NYC’s third largest business district. Corner restaurant with a wraparound banquette, serving organic American fare by a Le Bernardin alum. This neighborhood hangout features a menu of Southern entrees, plus cocktails & live entertainment. Seasonal mixed drinks & microbrews served in a dark, narrow bar with a patio, DJs & live music. Veterans of “Saraghina” and “Union Pizza” lead this delicious effort called “Santa Panza”, nestled under the J train on the edge of Bushwick and Bed-Stuy. Their pedigree is apparent with each bite. A Gusto is a Café / Wine bar with Thai Cuisine. We serve Coffee, breakfast through late-night supper. A Gusto offers LaColombe coffee, Balthazar pastry, various wine, beer tap, and Thai-Italian menu. 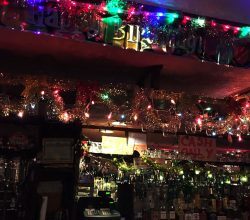 From the team that brought Bushwick’s favorite “The Anchored Inn”, Captain Dan’s Good Time Tavern is now serving up delicious pub fares and drinks without attitude or pretension. Try the wings! 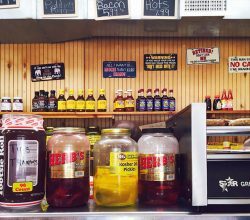 Country-chic Cajun kitchen serving up traditional bayou bites, craft beer & spirits. Wood-fired pizzas & Italian fare from an open kitchen set in a former body shop in Clinton Hill. Cozy spot for vegan & organic cakes, pies, cookies, cupcakes & sandwiches, with gluten-free options. 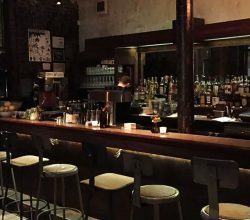 Chill haunt with exposed-brick walls serving comfort food, cocktails, beer & coffee, plus brunch. Locale Village Shop & Yoga is a Bed-Stuy independent artisan gift shop and private boutique yoga studio. Neapolitan pizza from a wood-burning oven served in a rustic setting that includes a coffee bar. Southern classics such as mac ‘n’ cheese, blackened catfish & fried chicken served in a snug spot. Local restaurant located in Bedford-Stuyvesant serving sandwiches, frittatas and other savory goods. Pan-Latin food & drinks are featured at this brick-walled eatery & bar with a back patio. Quirky hub with old-timey decor offering gourmet coffees & organic pastries, plus a kids’ play area. Airy neighborhood coffee house with daily roasted espresso & drip coffee, plus bagels & pastries. Bohemian coffeehouse with local art serving espresso & lattes alongside baked goods & vegan options. Vintage-looking coffee bar serving light bites with beer & wine joining the roster later in the day. Snug counter-serve serving gourmet coffee drinks, tea & baked goods amid white, minimalist decor. Relaxed reggae-inspired watering hole providing tropical drinks & snacks, plus live music & a patio. 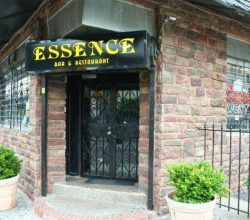 Cozy, easy going bar, cash only, local bar located in Bedford-Stuyvesant. Relaxed watering hole with a pool table, TVs & a menu that includes tacos, burritos, wings & fries. 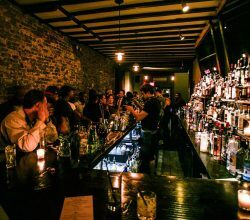 Casablanca is a local bar located in Bedford-Stuyvesant. Leisure Life NYC is the place to find rare and exclusive pieces for the hard to please. Diverse craft brews, cocktails & light bites served in a snug, low-key space with pinball machines.